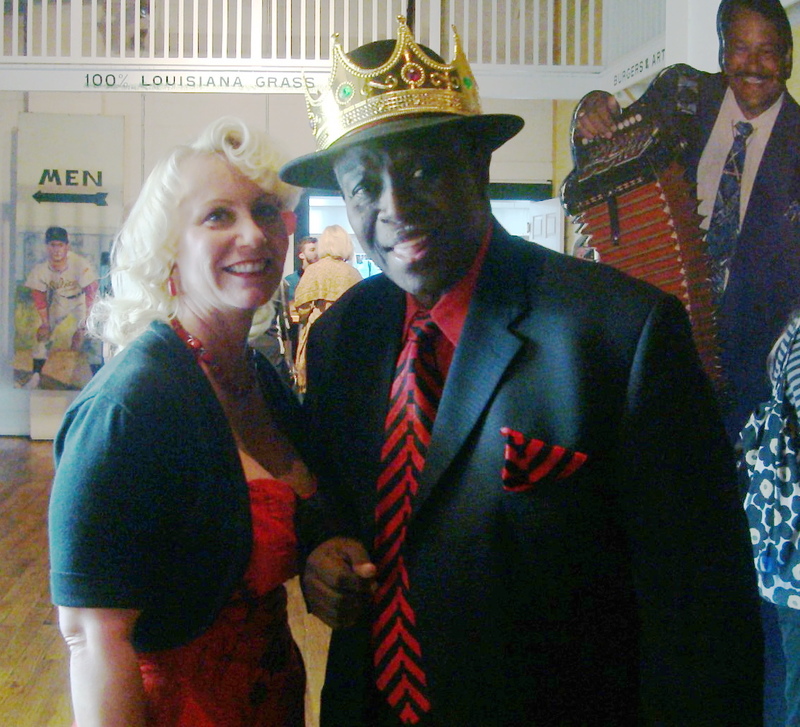 Seen at the 2015 Ponderosa Stomp: Al “Carnival Time” Johnson with a rockabilly beauty on his arm. She may have been his wife, a girlfriend or just a fan trying to get some camera time with the legend. I’ve had the pleasure of running into Mr. Johnson twice this year and on each occasion he was more than generous with his time. Alvin Lee Johnson was born in 1939 in New Orleans although some sources report his birth to have been in 1944. “Carnival Time” his signature song was originally recorded in February 1960 or perhaps December 1959 as other writers note. I love that when weaving the tales of old musicians there are multiple and differing accounts about each aspect of the men’s careers. When Johnson walked out of Cosimo Matassa’s studio (838-840 Rampart Street-now a washateria) in New Orleans with ‘Carnival Time’ freshly committed to tape could he have known that he had just authored what would become the signature song of New Orleans? Could Joe Ruffino, the producer, have known? What Johnson could not have foreseen was Ruffino’s passing and a subsequent legal battle that did not end til 1999 when the singer was awarded control of the song and its earnings. Disgusted with the music business ‘Carnival Time’ drove a cab for years in New Orleans til finally returning to performing the same year he won rights to his landmark song. This entry was posted in Louisiana Daily Photo, New Orleans and tagged 2015 Ponderosa Stomp, 838-840 Rampart Street, al carnival time johnson, Cosimo Matassa, joe ruffino, ric records. Bookmark the permalink.